I've always wanted to shop for special or limited edition products from abroad that are not available in Malaysia yet. However, it's hard to get it unless you really travel and walk into their store physically and buy them. Or sometimes, want to buy online, but the overseas USA, Japan, Korea or Taiwan websites doesn’t ship to Malaysia. But now, I’ve just discovered that a Malaysian based cross-border shipping service like Yellow Porter can actually solve my overseas shopping & shipping difficulties. Looks like now anyone can get their favourite brands from overseas that aren’t available in Malaysia as their shipping fees are quite affordable too. If you’re just trying to find an easier way to ship your beloved purchases without breaking the bank, maybe can try Yellow Porter. 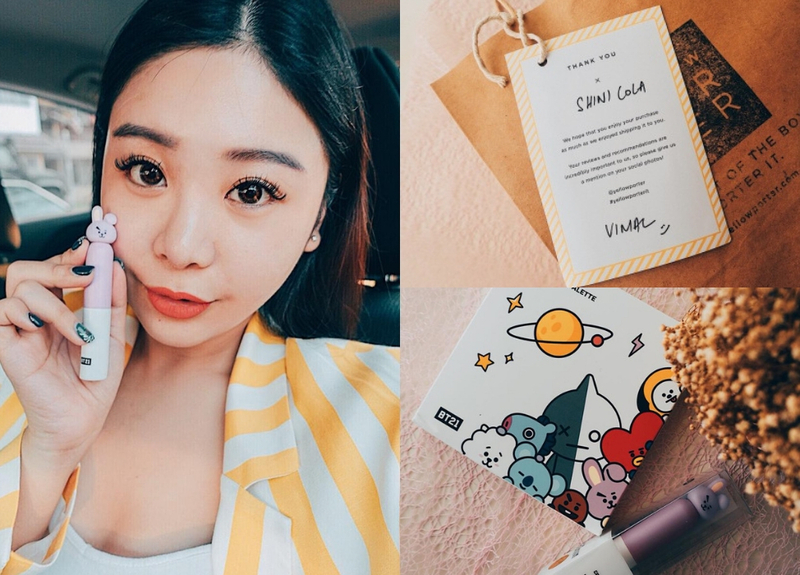 Here’s my experience using their Shop4Me and shipping service where I send in a request to Yellow Porter to help me buy the newly launched BT21 x VT cosmetics collection. So, how to porter? No worries, it only consists of a few easy steps! I will explain to you guys step by step. After you finish reading the processes, you can just start to shop immediately. Quite easy. First thing first, sign up an account with them. Just key in your details such as email, phone number, password, date of birth etc will do. It only took me 1 minute to fill it up. Then, select "Shop4Me" and fill up the product details such as item name, category, store type and so on. You can key in multiple items just like what I did in the picture. At the ‘Remarks’ column, you can indicate your choice of colour/shades. After submitting my Shop4Me request, they send me an email with product cost quite quickly. Then, I reply to give confirmation of the product details and cost. They later send me the invoice with payment details to make payment via bank transfer or PayPal. Once payment has been made, all I need to do is just wait for it to deliver to their South Korea warehouse. Oh nice! 7 days later, Yellow Porter sent me an email to notify that my BT21 x VT purchases have arrived at their South Korea warehouse. I just need to login on Yellow Porter’s website to make a request to ship under their “Orders” page. I’ve chosen Standard shipping method as I’m not in a rush to ship it back. After I double check my item details, I clicked on “Request to Ship” and I’ve proceeded to make payment. The cost of a shipment can be affected by either the actual product weight or box dimension (known as volumetric weight), whichever weight that is higher will be used to calculate the shipment cost. For my BT21 x VT products, the total shipping weight is 0.5kg, hence I’ve paid RM45 for shipping fees as it’s within 1kg. Ta-da! Here come my items, arrived at Yellow Porter’s Kuala Lumpur warehouse within 7 working days from South Korea. Got a final email notification that asks if I prefer self-collection or delivery to my doorstep. They even left a lovely note for their customers. I'm so glad I got them without the need to travel all the way to South Korea. From now on, if there's something that I can't get it in Malaysia, I can count on Yellow Porter to get them for me. The first item was BT21 x VT - Eyeshadow Palette. The colour that I had chosen was Mood Indigo. Fall in love with its packaging and it's easy to carry around. 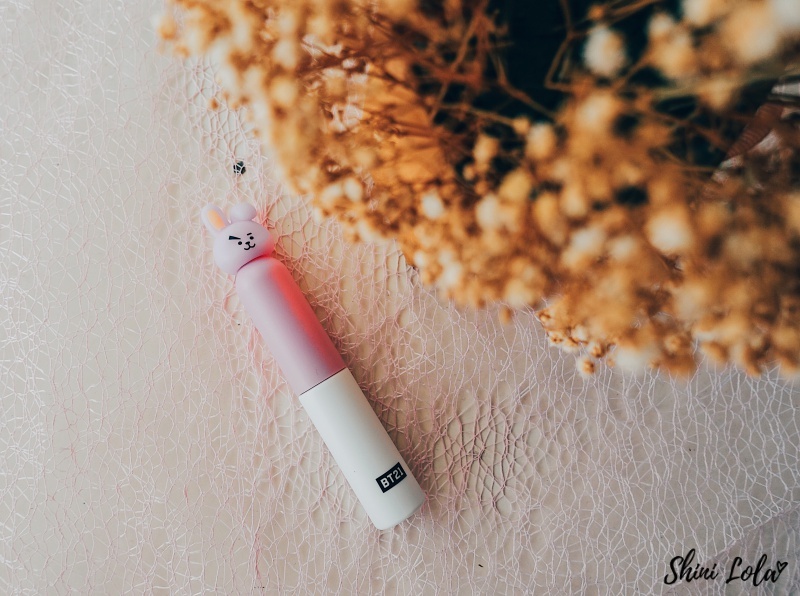 Another item was BT21 x VT - Lip Lacquer. The colour that I choose was Cooky-Cream Lip Lacquer-Mellow Coral. Love the bunny design on top and love the shade as well. 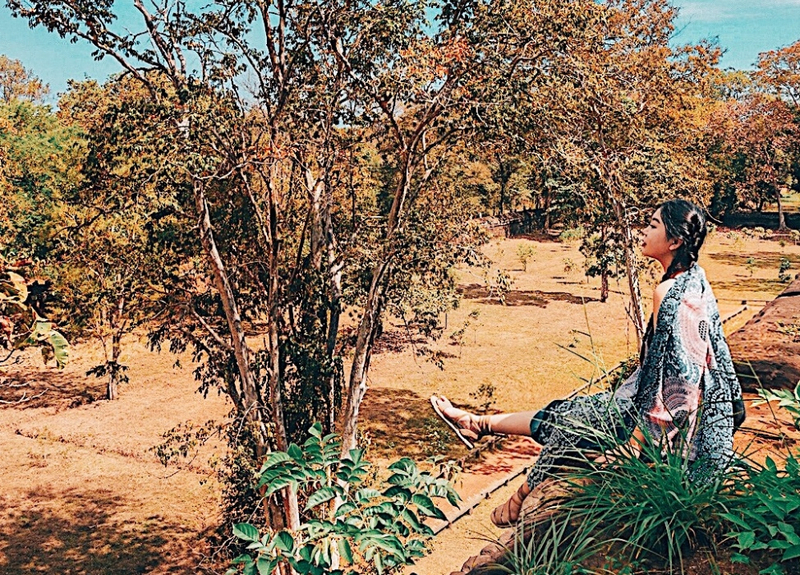 Guess what, Yellow Porter is offering my readers ZERO fees with Shop4Me services (usual: 6% Shop4Me fee of total online transaction) valid from 1 Dec - 31 Dec 2018. Just key in the promo code < ShinilolaYPShop4Me > on “Remarks” column when you send in a Shop4Me form to enjoy the discount. Don't miss out this exclusive deal. Oh, that's not it...since Christmas is around the corner and it's the season of gifting, Yellow Porter has a Christmas Giveaway Promo! 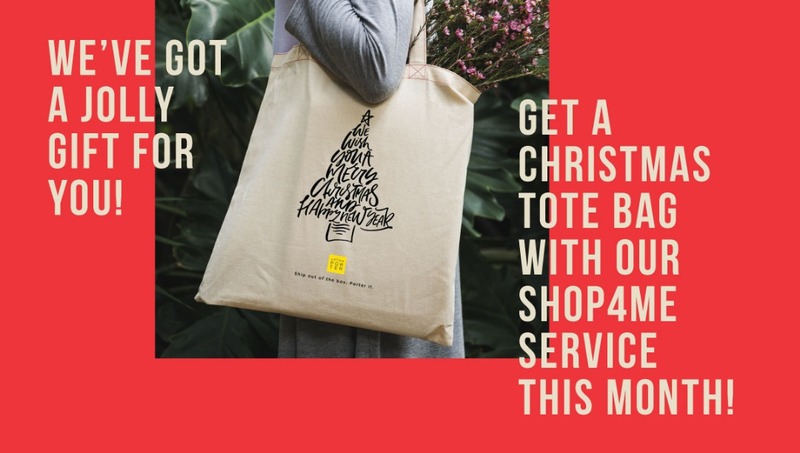 You'll get a Free Christmas tote bag when you use their Shop4Me service. Do check them out!